Lovely paper holy card, printed in Italy on cardstock. 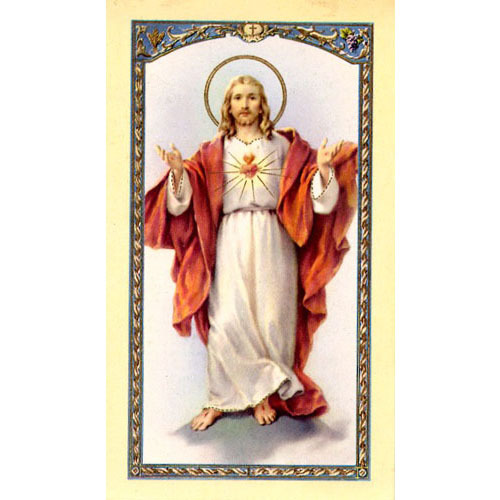 2 5/8" x 4 3/8 Prayer on back: Vocation Prayer O God, who enlightens the mind and inflames the hearts of the faithful by the Holy Spirit, grant that through the same Spirit, I may know my true vocation and may have the grace to follow it faithfully. Through Christ our Lord. Amen.